Ethan Bryant was supposed to fall asleep on a ship leaving Earth and wake up fifty years later with his family on the planet Minea. Instead, after the ship’s caretaker—the lone human in charge of monitoring the ship’s vital systems—suddenly died, the ship’s computer locked Ethan out of his stasis chamber and gave him the job. That was five years ago. Five years of checking to make sure everything runs smoothly on a ship Ethan knows almost nothing about. Who wouldn’t dread the years ahead? Who wouldn’t long for their once-bright future now stolen away? Ethan is resigned to his fate, until the ship suddenly wakes up another passenger: a beautiful engineer who, along with Ethan, soon discovers a horrible secret—a navigation room hidden from even the ship’s computer. The ship is not bound for Minea—but to somewhere far more dangerous. 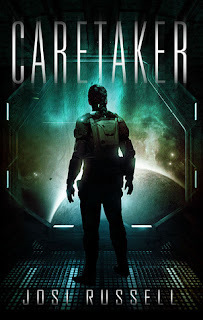 When I first received the blurb about Caretaker by Josi Russell from Future House Publishing, I was instantly intrigued. 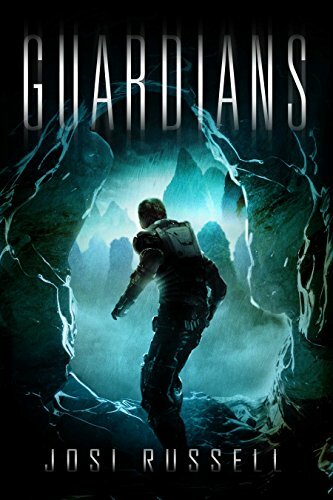 I used to be a huge gamer, and from what I had read this book definitely had a “Dead Space” feel to it. Ethan – suddenly being thrust into the position of the ship's Caretaker – was the only human not in stasis for five years. I was instantly hooked, as I cannot imagine myself in his position. Ethan knew absolutely nothing about running a Space Ship, not to mention caring for the other 3,999 human lives currently in stasis sleep. One of them being his pregnant wife. With all of that being said, I felt that the book was extremely fast paced, but not in a way that I would have usually enjoyed. The story almost felt rushed, even from the first few chapters. There are aspects of romance in this novel, that normally I would welcome, but even the relationships felt a little fast paced. An unusual and often unexplored dynamic in this genre was the infidelity of the main character. I almost lost a little respect for the character of Ethan, and gained some for the Series as a whole. The overall characterization was enjoyable, and I did end up cheering for Ethan in the end. The author, Josi Russell, created her own Alien Language called “Xardn” that is based on overlapping circles, each symbol representing a word. The creativity that went into this language is part of what I think saved this book for me. The way that the language is incorporated into the book really made me feel more engaged in the story overall. Xardn, being a dead language, brought Ethan nothing but trouble in the past. His peers in the past would constantly judge him for studying the language, saying that it would not get him anywhere in life. However, his wife was the one that supported him and told him to keep at it. In the end, his immense knowledge of the language played a crucial part in the story. The overall story, while being fast-paced, was a fun read. I read this in between studying for exams and working on the weekends, and I actually found myself looking forward to what happens next in Ethan and his mysterious companion Kaia's adventure. The character development being rushed in the beginning almost felt necessary to understand the events that would take place as I progressed through the story. Everything that the reader needs to know is eventually explained throughout the book and questions that were raised were answered. There were unexpected twists that had me swiping the electronic pages in anticipation, and the writing was very well thought out, albeit rushed. I would recommend this story for lovers of Sci-Fi, or for anyone that is just settling into the genre. I'm excited to read more of Russell's work. Both Guardians and its prequel, Caretaker, will be available for $0.99 February 11th – 17th. 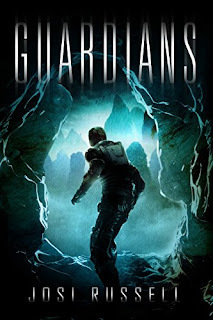 Readers can enter to win an autographed copy of Guardians over at the Future House Publishing Blog on Launch Day (February 11th) -- Official LAUNCH post here.